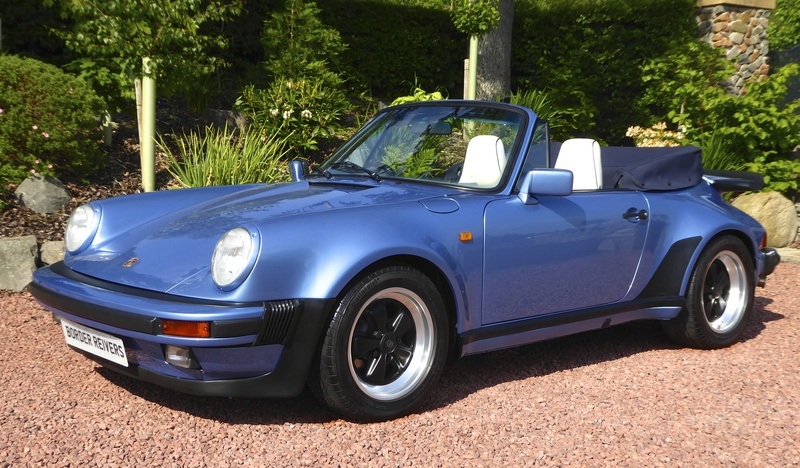 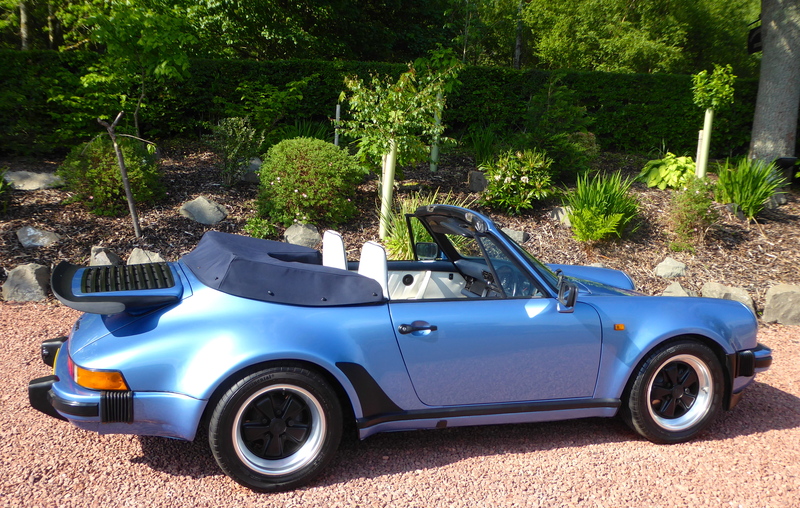 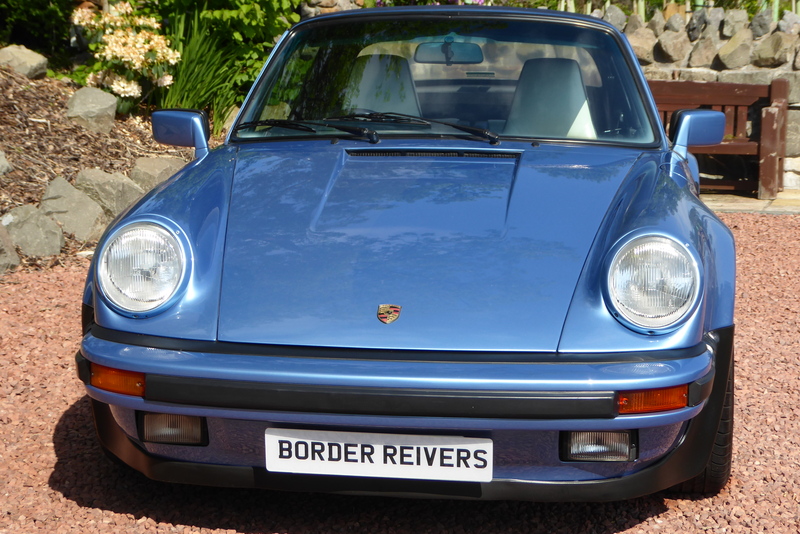 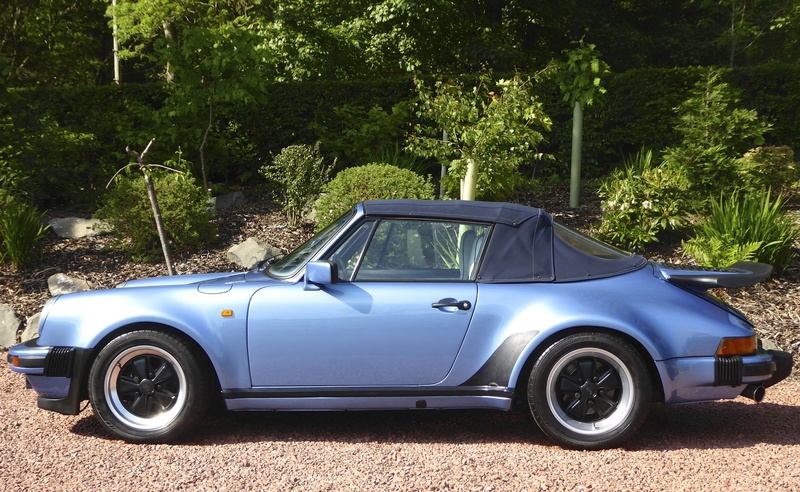 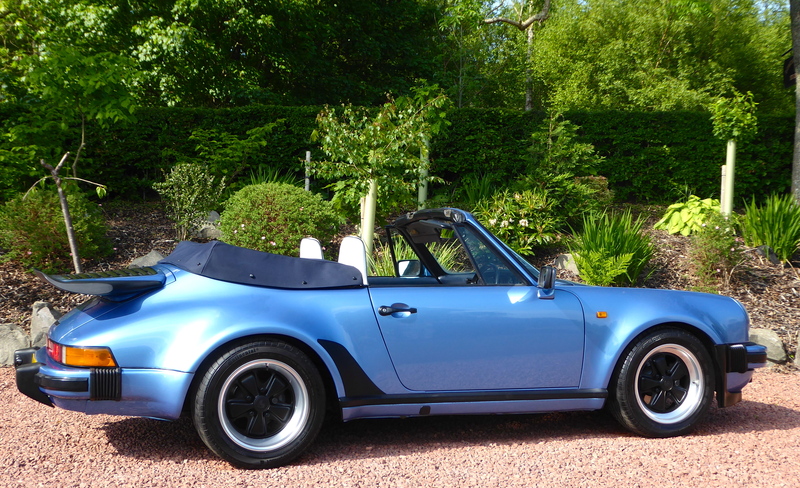 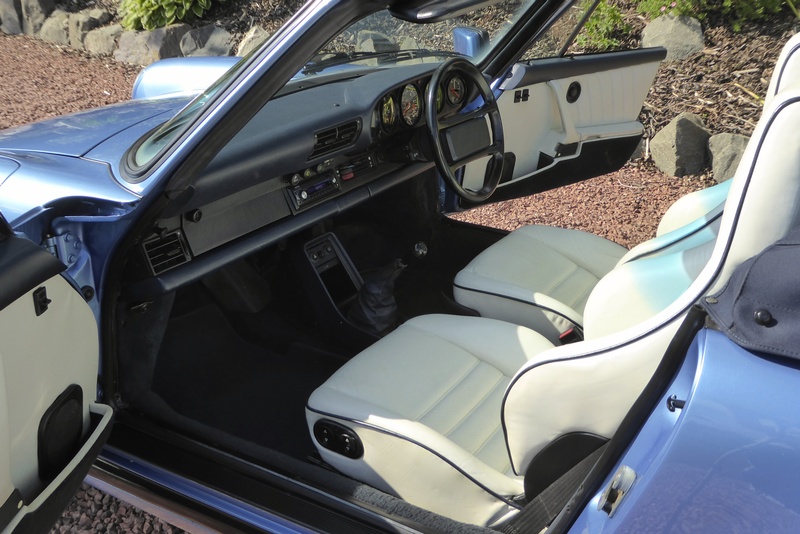 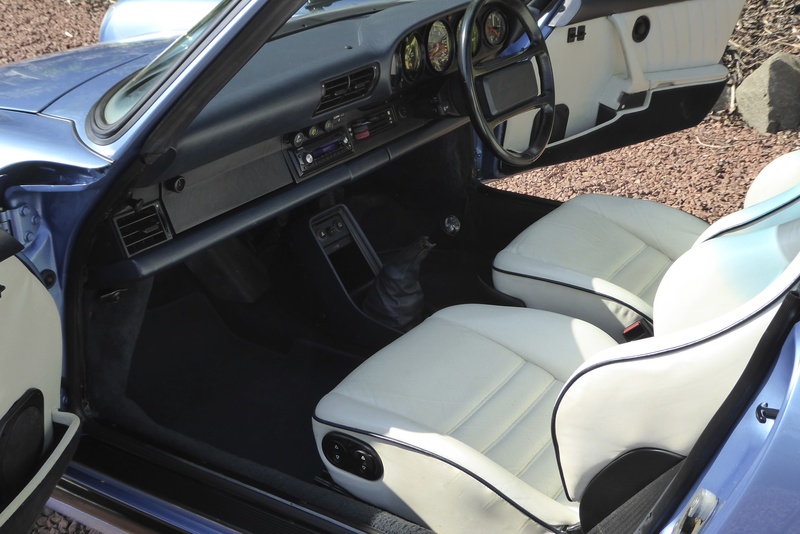 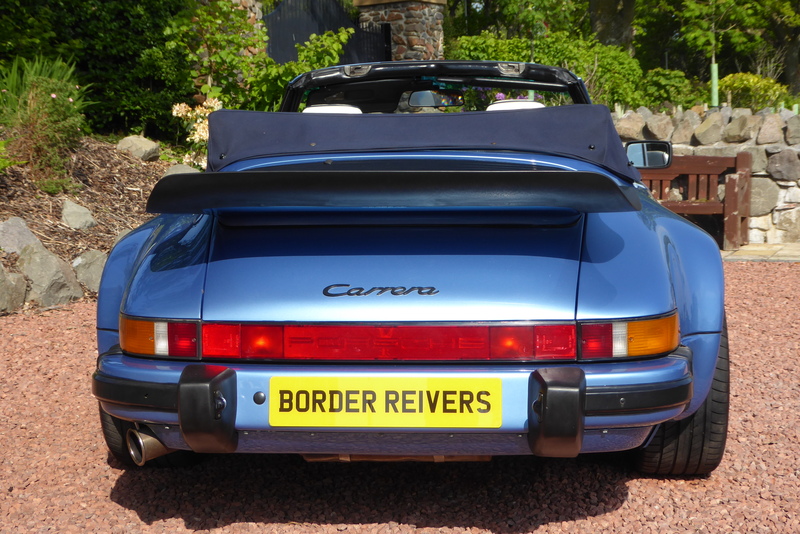 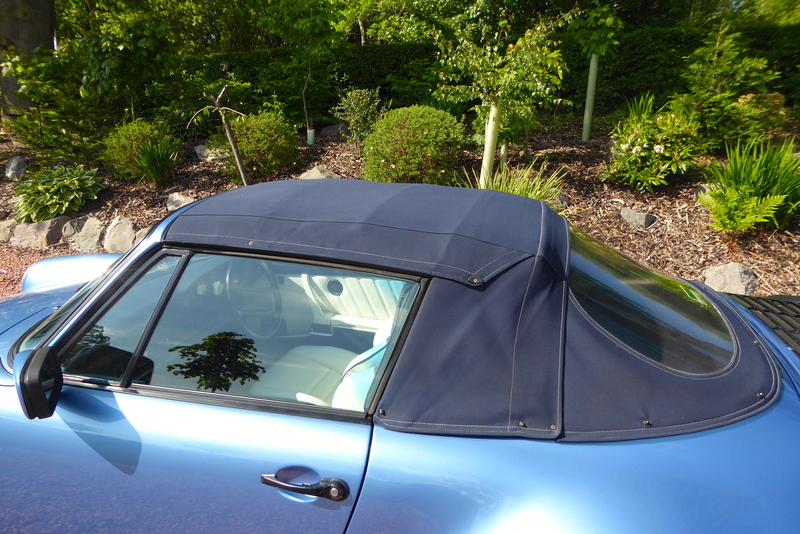 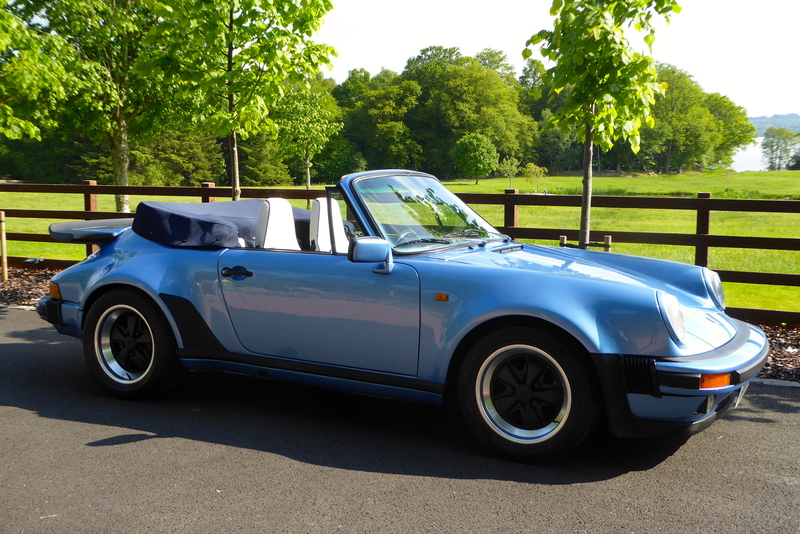 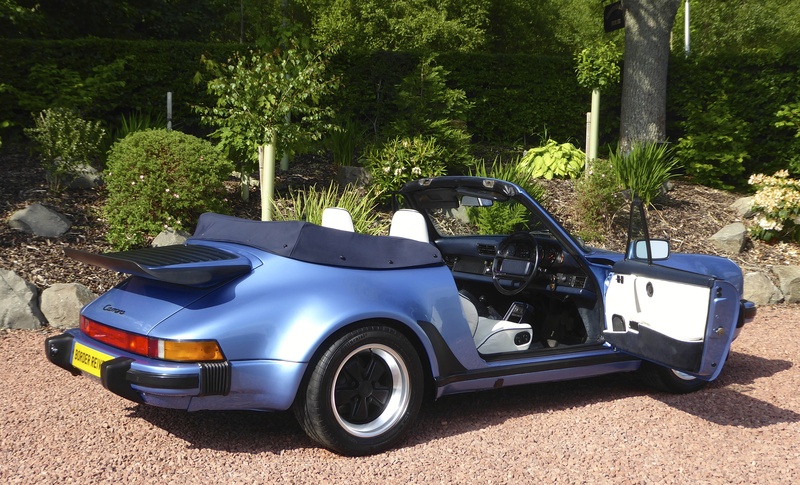 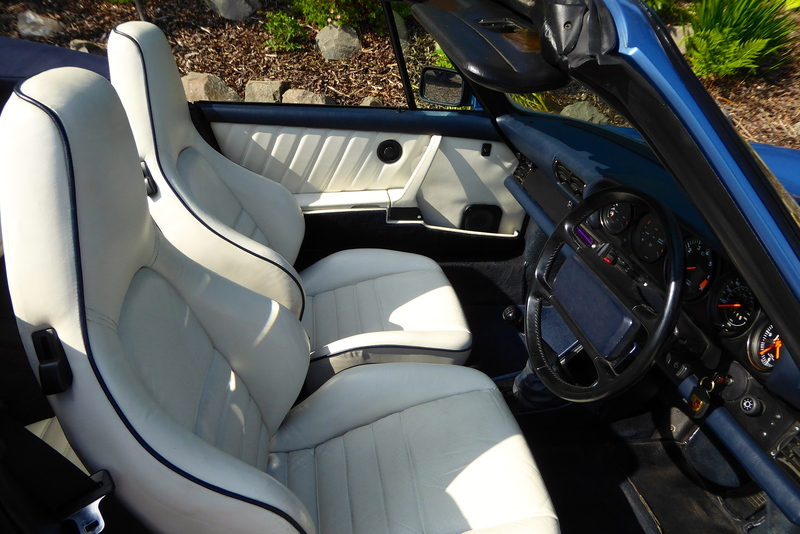 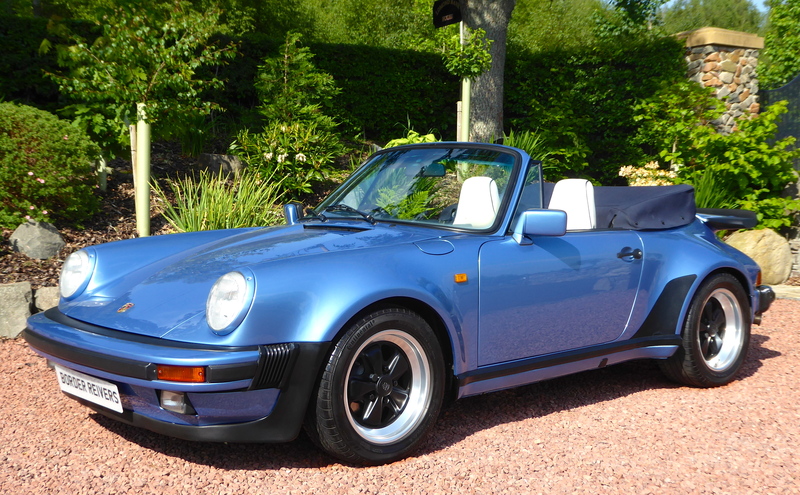 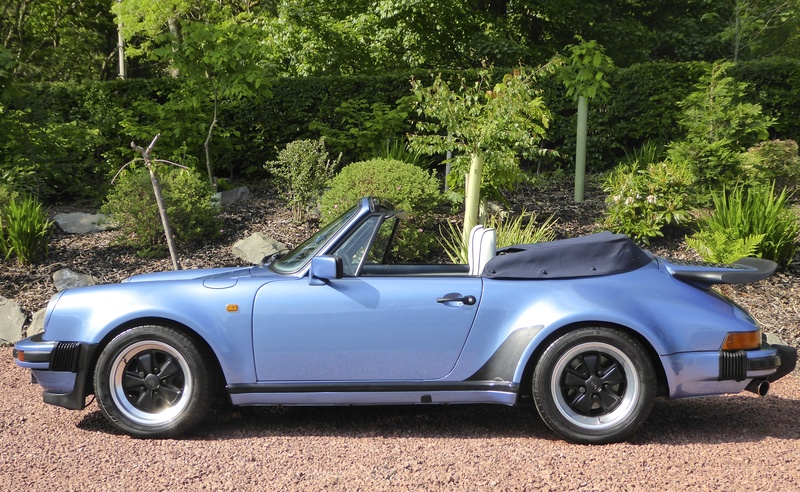 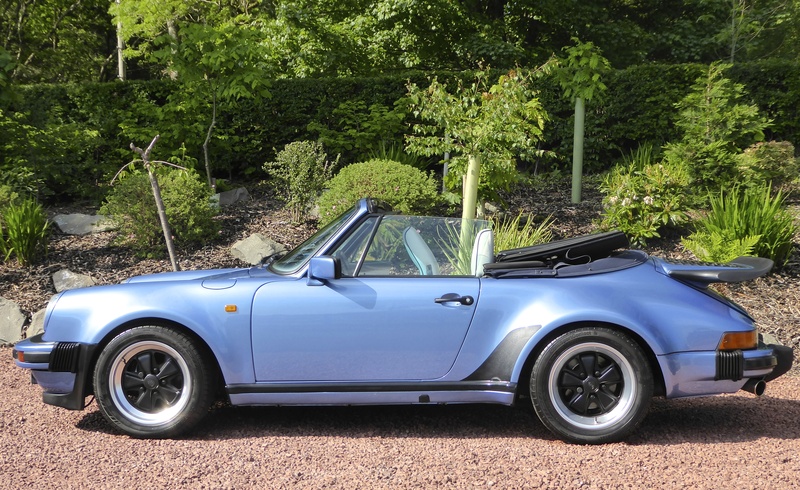 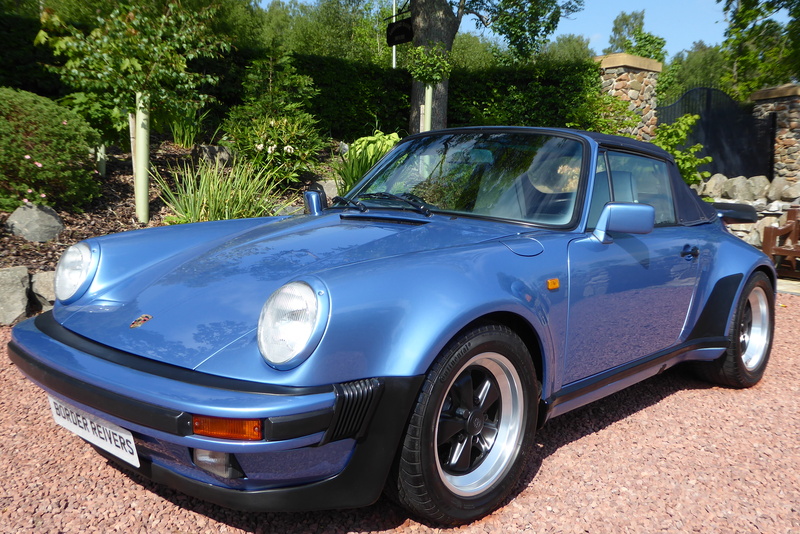 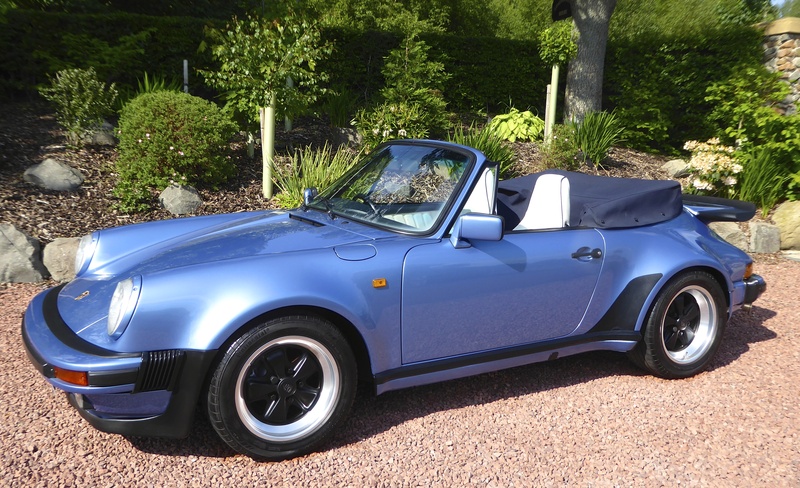 Border Reivers are delighted to offer this beautiful Porsche 911 cabriolet from 1986. 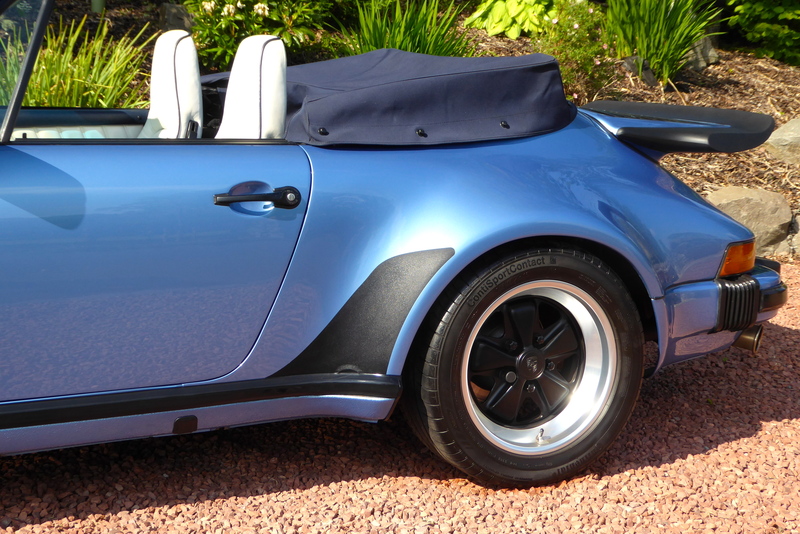 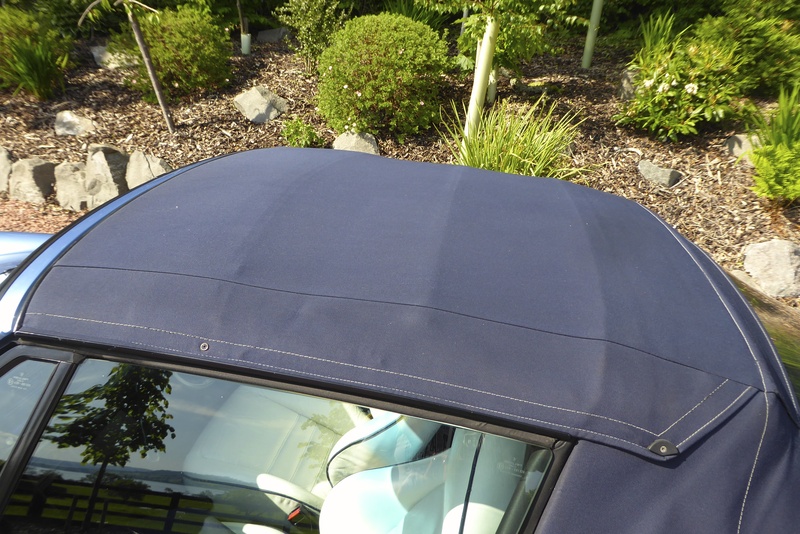 This car is fitted with an all steel Supersport/turbo body, in the knock out body colour of iris blue metallic (L33P) with contrasting cream leather interior . 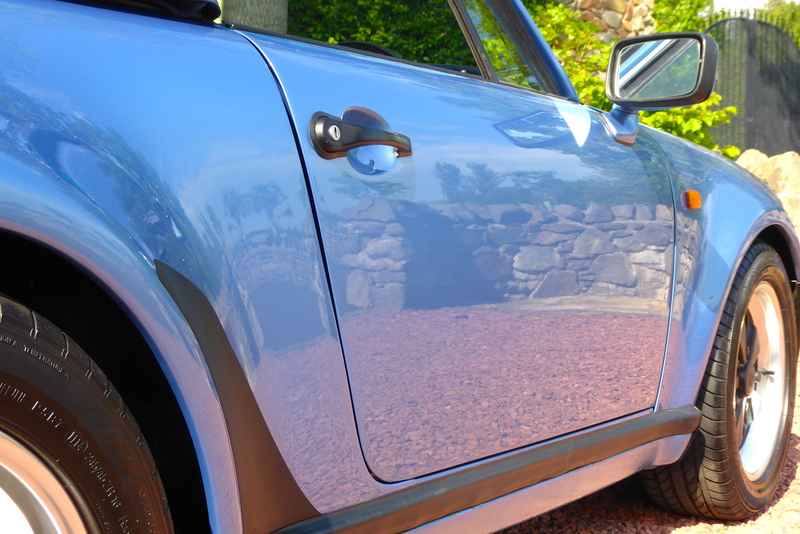 This car just’s pops in the sunlight. 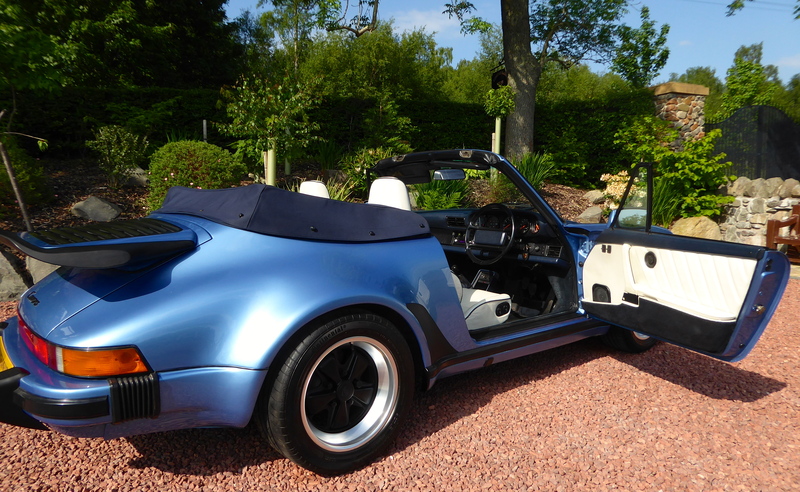 This is Porsche at its best (just look at the pictures) would you ever get fed up looking at this? 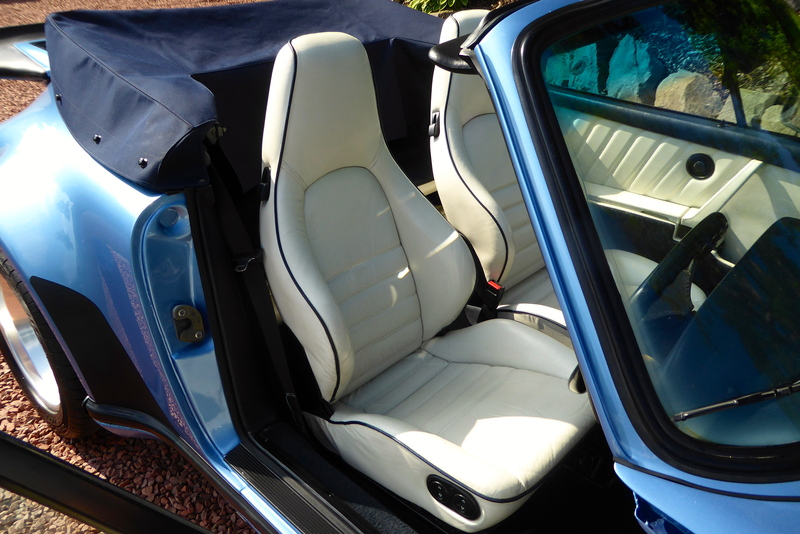 With a list of extras which include Sport seats, electric seats, full leather interior, electric hood, metallic paint, passengers door mirror, tinted screen, over mats. 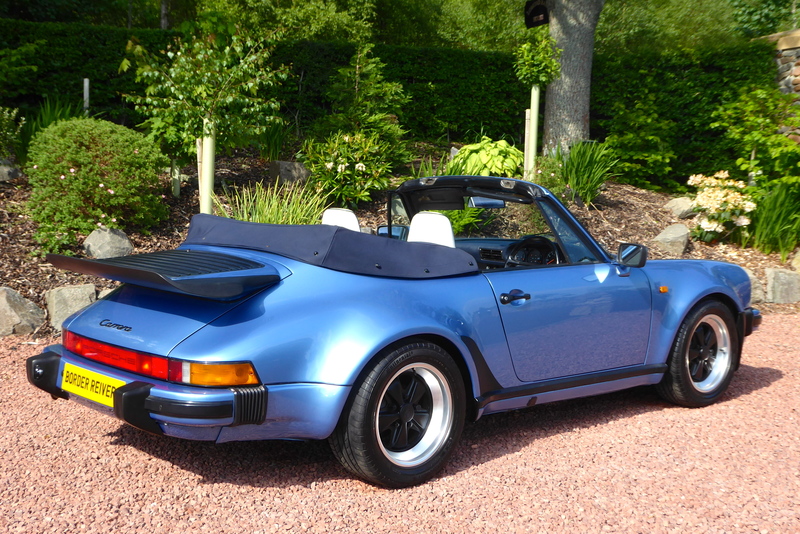 service & new oil cooler, oil cooler pipes 15-09-2015 (£4215.02) Tower Porsche. 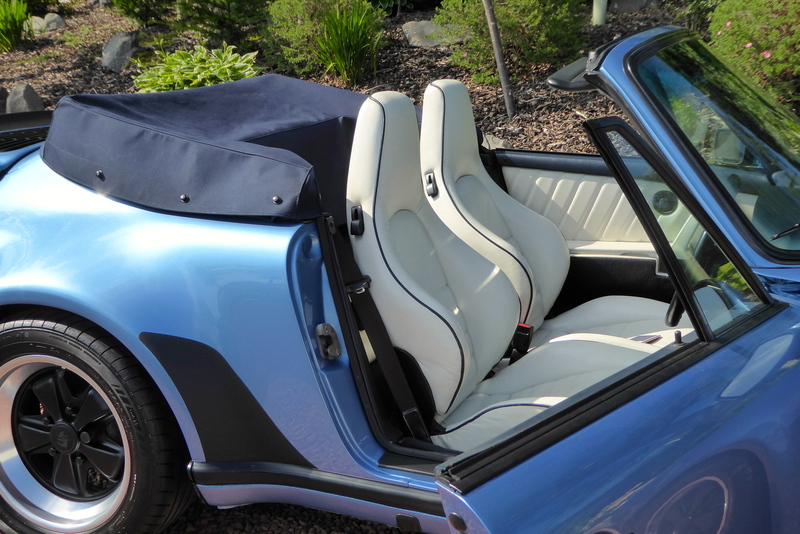 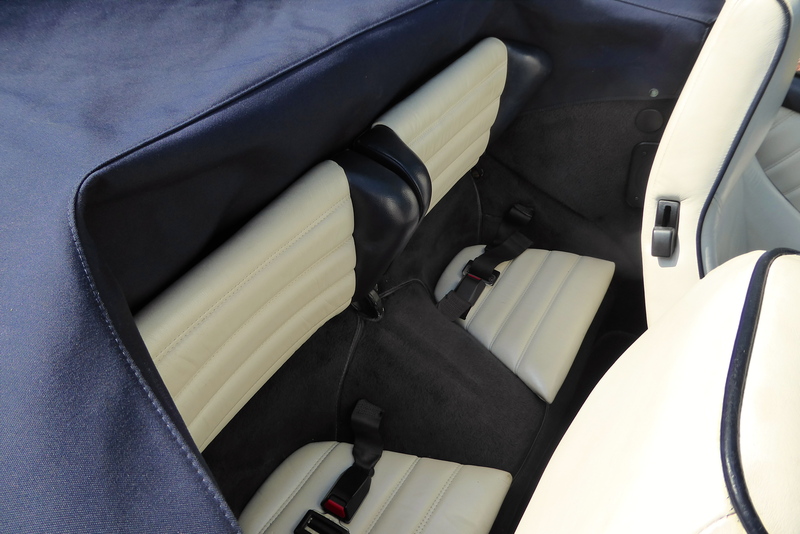 The car comes with an original spare wheel, jack, toll roll, warning triangle, original document wallet with all the hand books & service records, an A4 folder with history are all included. 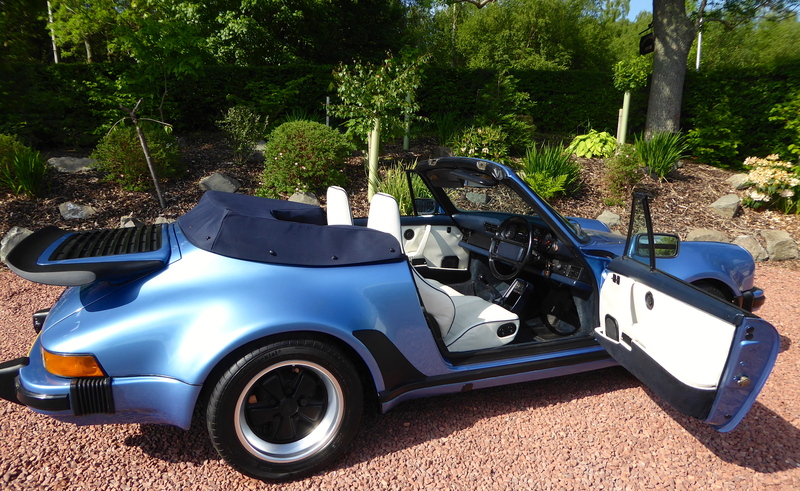 Since posting this add, I was told this Porsche belonged to a prestige car dealers in Glasgow. 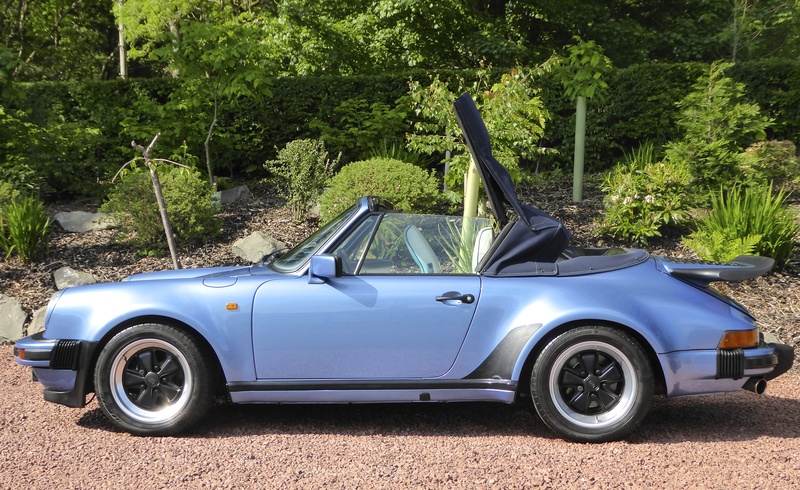 If its correct & I can’t image more than one coming to Glasgow in this spec ( colour / wide body ) then I remember this car, it would have been in our shop around 1998-1999. 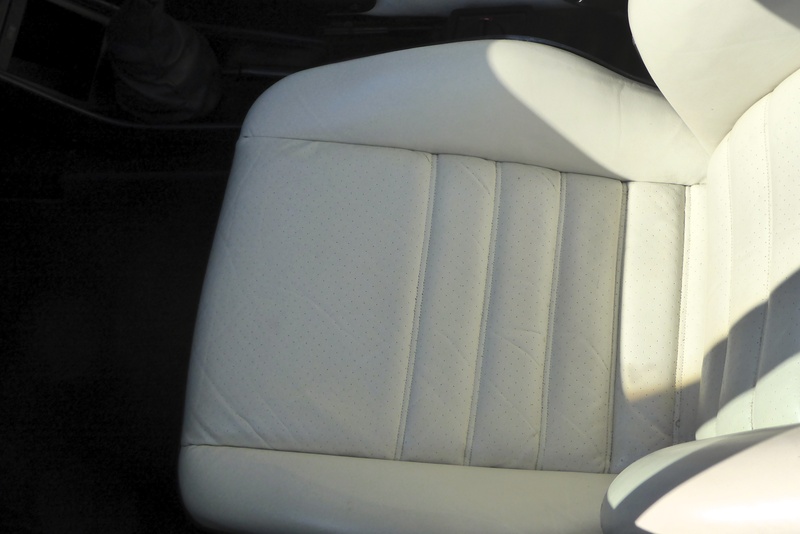 His son used the car quite a bit . 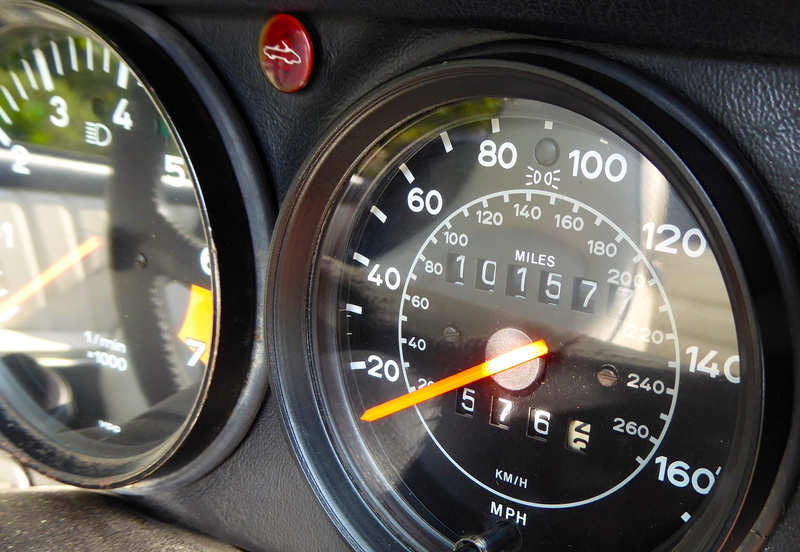 The son now runs the company. 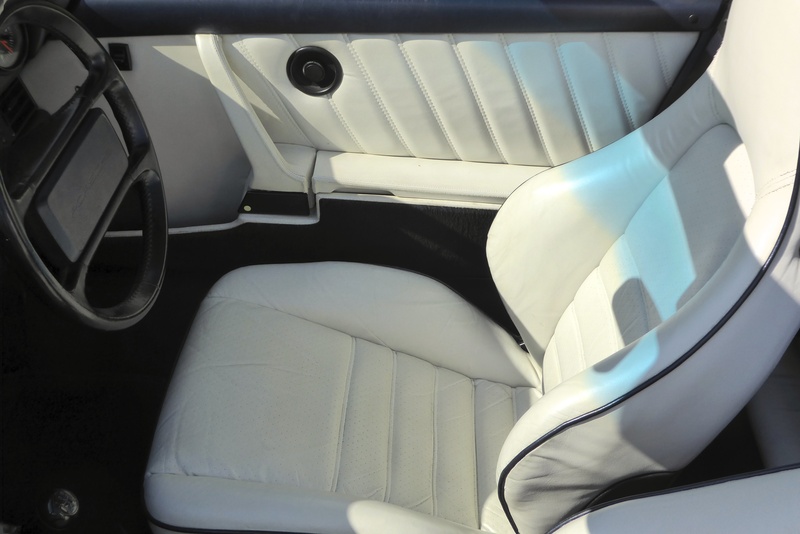 It was so cool back then, I was more than a little envious as he drove bye me in my white SC coupe . 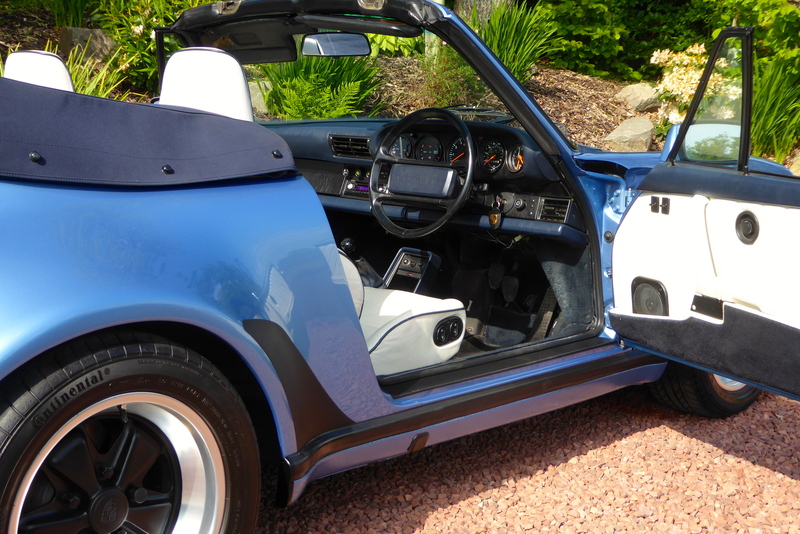 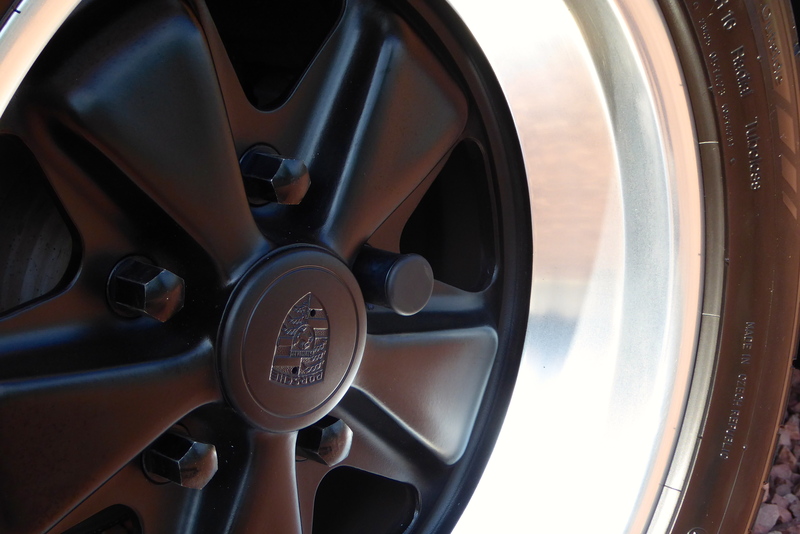 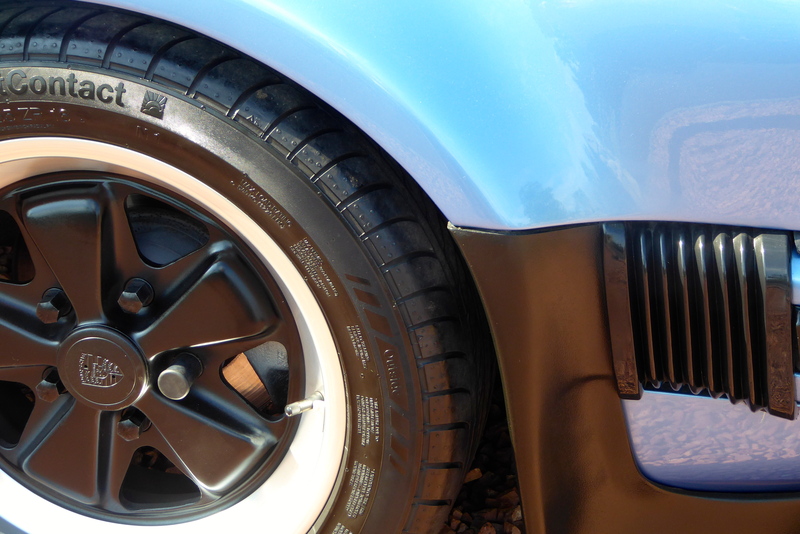 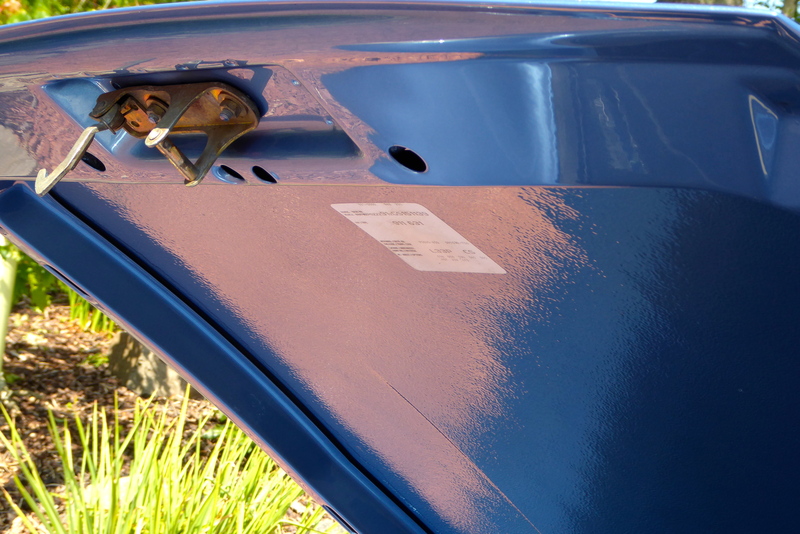 Its quite incredible a car so cool in 1986 can be just as cool if not more so, over 30 years later …….